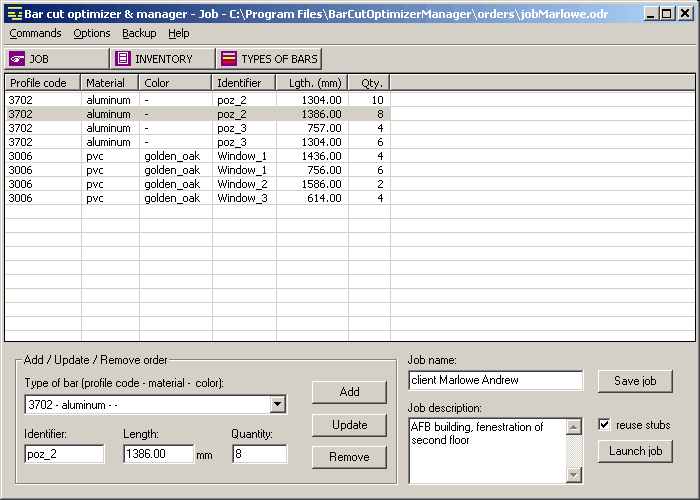 Bar Cut Optimizer & Manager is a length nesting optimizer and stock manager software. It minimizes the waste in the cutting process of any linear material like pipes, bars, tubes, profiles, paper rolls, extrusions, beams, cables, etc. The program implements two types of optimizations: by using the current stock in an efficient way and by reusing all stubs (no waste).